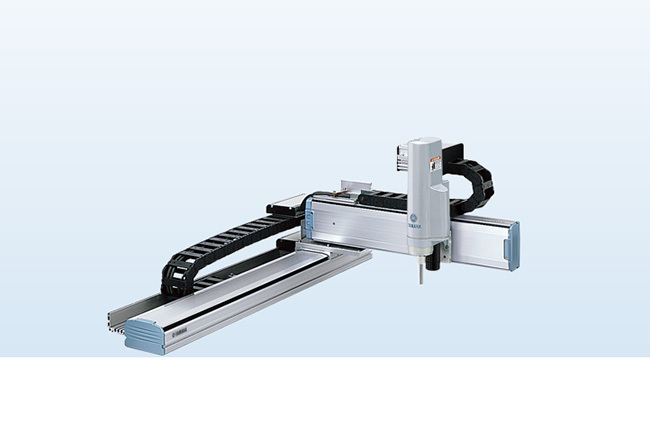 Yamaha Robotics offers one of the widest variety of single axis, cartesian and pick & place robots available on the market today. With payload capacities up to 80 Kg and cycle times as short as 0.45 seconds, Yamaha Robotics can supply one of the most effective and economical robot solution available for your application. 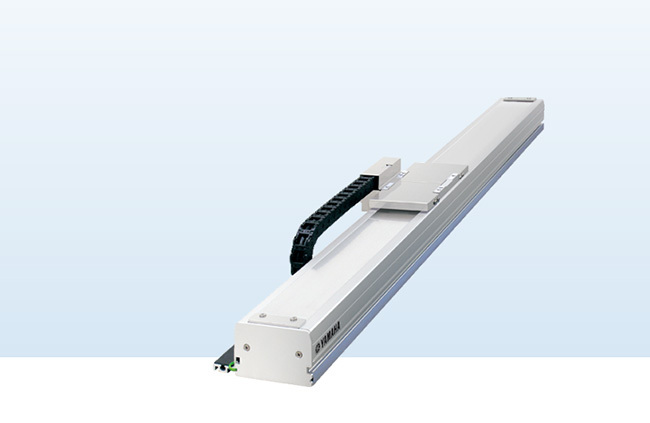 With the TRANSERVO series YAMAHA provides compact and economic linear axis type. Instead of a complex controller, it is equipped with a simple driver unit. TRANSERVO uses a stepping motor with magnetic resolver. By this, the advantages of stepping motor (cheap, vibration-free stop) and servo motor (precise, high speed, high payload) are combined into one axis, which makes TRANSERVO interesting for many different applications. 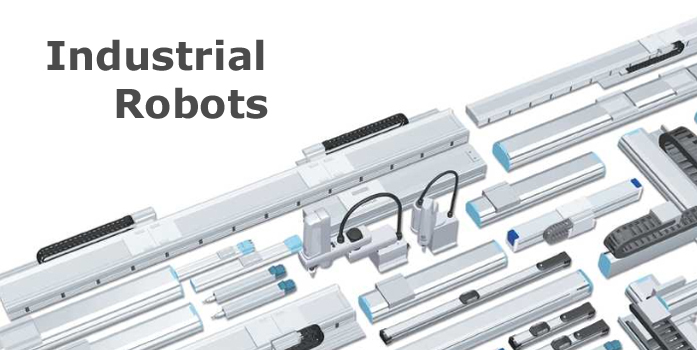 Handling is easy and design is compact, so automation can become even more efficient! Within the FLIP-X series, you can select between 6 types and 30 models, depending of the requirements of your application. They can be used for assembling, inspection, handling or component transfer. 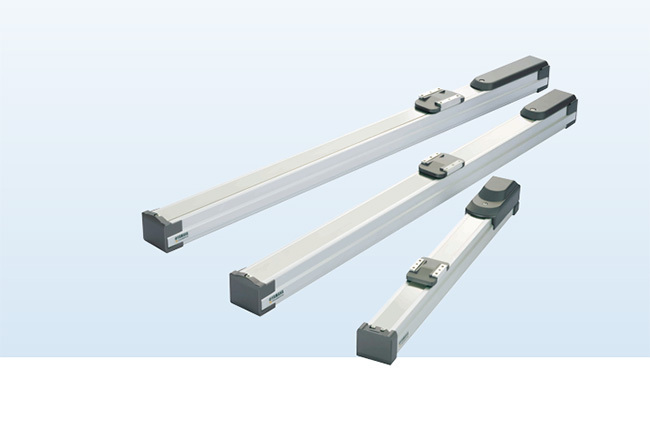 All models come with a high precise servo motor and strong linear guides with a 4-row circular groove. Due to the rigid ball screw structure results in low maintenance costs and long usability. The service life based on the payload can be calculated at the YAMAHA website. The PHASER robots provide superb performance in long distance transport due to YAMAHA's in-house linear motor technology. Unlike to ball screw systems, there is no reduction in the maximum speed even when travelling long distances which results in a significant improvement of the cycle time. By using YAMAHA's patented magnetic scale and other in-house design components, cost factor and performance are combined in a desirable way. 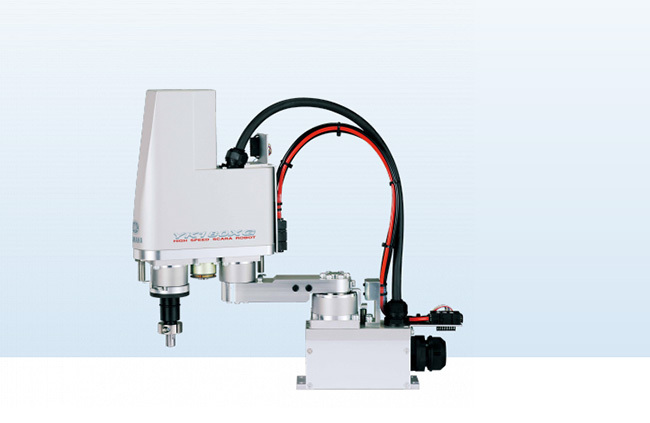 Therefore PHASER robots can have cost advantages even when used in standard applications. The MF robot adopts a flat type magnet. It can transfer heavy object with high speed and high accuracy. 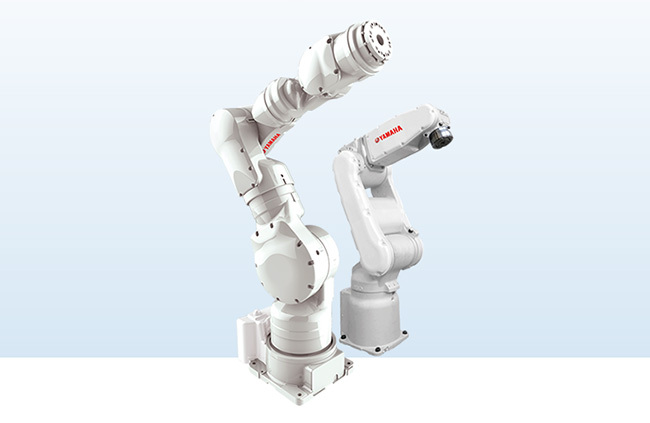 Costs and space are reduced compared to the use of two single-axis robots. Additionally, the axis alignment is not needed and the same tools can be used by both carriers. This shortens the set-up time. Anti-collision control is implemented in the RCX controller as a standard. Comparing with ball screw type robots, there are fewer sliding and rotating parts, so the operation is amazingly quiet. Because coil and magnet are free of contact, the whole system is wearless and requires very low maintenance. The YAMAHA XY series stands for highest accuracy and flexibility for a broad range of applications. 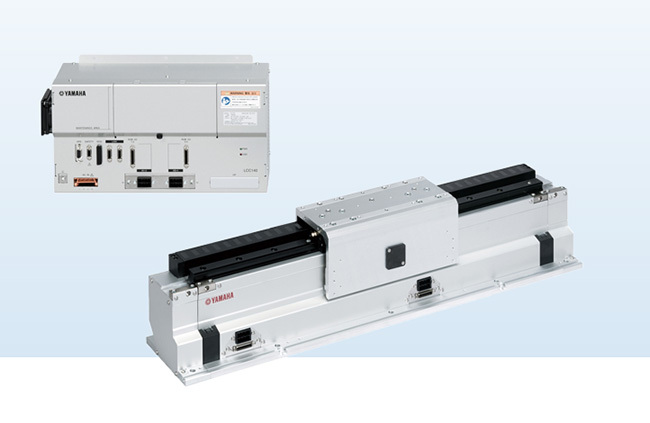 Cartesian systems are ideally suitable for serving a larger area with heavy payloads, as well as for small-sized solutions. Especially if space is only available aloft or if high precision is needed, they can be a price-competitive alternative to articulated robots. The XY series has several different models which can be combined with each other and individually adapted. With the YA-series Yamaha offers a wide range of manipulators for general handling, assemply and placement applications. The 6-axis robots range from the ultra-light YA-RJ with 1 kg payload up to the YAR6F with 6 kg payload and longest reach in class (1422mm). The 7-axis robots open up new possibilities due to the very high degree of motion like a human arm. It can reach behind objects and used in narrow space. Variations from 5 to 20 kg payload are available. Flexible set-up of the slider's acceleration/deceleration, forward/backward movement, positioning, and other actions. The variety of possible line structures has been greatly expanded to supersede conventional belt and roller type models. The length of the transfer line can be adjusted freely by adding, removing or rearranging modules. Excess modules can be stored for maintenance work. 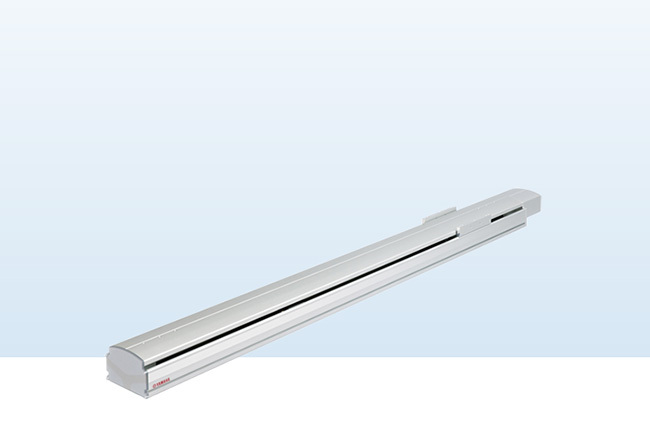 Loss-free transport that was not possible with conventional conveyors can be achieved with LCM100. Reduce losses while increasing profitability. Comparing with ball screw type robots, linear motor engines have fewer sliding and rotating parts, what makes the operation amazingly quiet. Because coil and magnet are free of contact, the whole system is wearless and requires very low maintenance. The most distinctive feature of the Yamaha Scara robots is the completely beltless structure.